Lights FC out-shoots their fifth straight opponent in regular season action, but a disqualified goal denies team of equalizer in the second half; Irvin Parra scores Lights FC's goal with a penalty kick in added time. Lights FC's match against San Antonio FC was a physical one, with a total of 20 fouls conceded and each team being booked with 3 yellow cards. SAN ANTONIO, TX - A momentum changer in the 72nd minute ended up being the difference maker in Lights FC's defeat on the road against San Antonio FC by a score of 2-1. With Las Vegas trailing 1-0 and pushing forward trying to tie the match, the Texas side cleared the ball from a corner kick only to end up being struck by Mobi Fehir whose left-footed kick made its way through a crowded box and past goalkeeper Matthew Cardone for what seemed to be the equalizer ... until it was denied by the officiating crew for an offside position being called. 10 minutes later a counter attack play set up by Jack Barmby left Ever Guzman with a one-on-one opportunity against Thomas Olsen, with the Mexican forward taking advantage of it to seal San Antonio FC's first win of the 2019 USL Championship season. 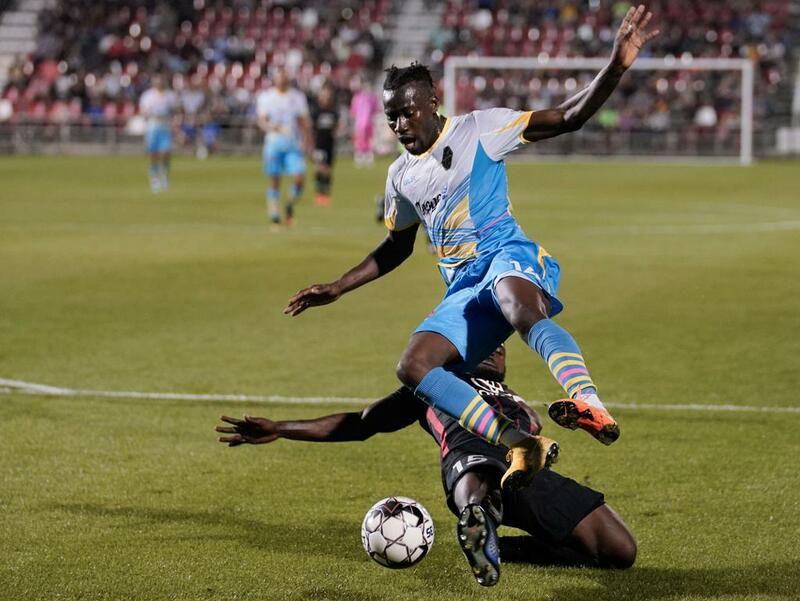 "We've played in very difficult venues on the road, not being able to get any points out of them is really hurting us right now", said Lights FC manager Eric Wynalda. "We're disappointed with the result, it has been an on-going theme on the road where we've played well enough to deserve points". San Antonio took the lead early in the match after a miscommunication between defender Javan Torre and goalkeeper Thomas Olsen left Bradford Jamieson, L.A. Galaxy loanee, with a clear opportunity to open the score in the 16th minute of play. "We put ourselves behind by giving away a goal, a very clear mistake", stated Wynalda. "As we get better as a group, we need to be more patient on the ball. We gave the ball away so cheaply tonight". 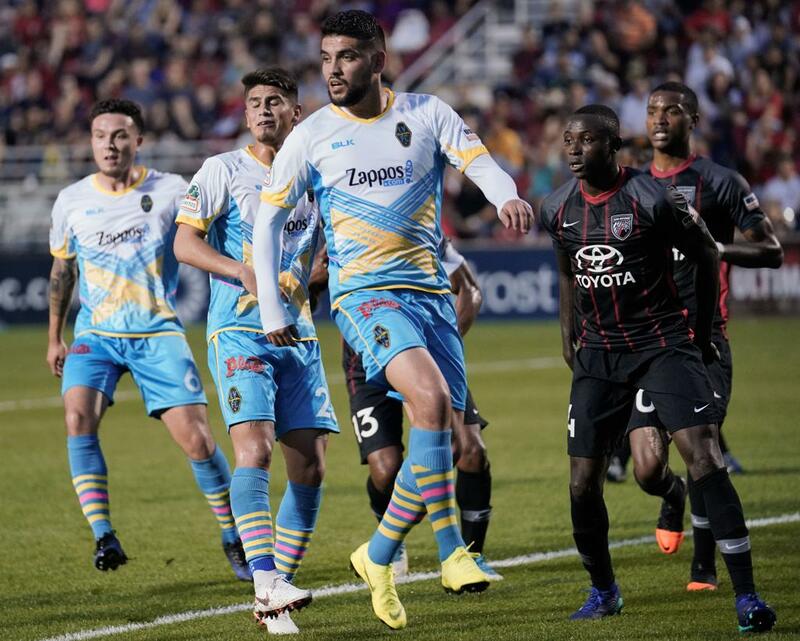 Las Vegas has out-shot each of their USL Championship opponents in regular season action, taking a total of 18 shots against San Antonio's 12 on Saturday night. Both teams ended up with 4 shots on goal, with Lights FC having the final one of the match with Irvin Parra's penalty kick strike that spoiled Cardone's clean sheet, leaving the final score 2-1 in favor of the Alamo City's team. Irvin Parra scored his first regular season goal with Lights FC by executing a penalty kick during the second half's added time. Lights FC returns to Cashman Field on Saturday, April 13 when they host Tacoma Defiance at 7:30 p.m. Tickets for this game and all Lights FC 2019 regular season home matches can be purchased at LightsFC.com/Tix or at any La Bonita Supermarket in Las Vegas. 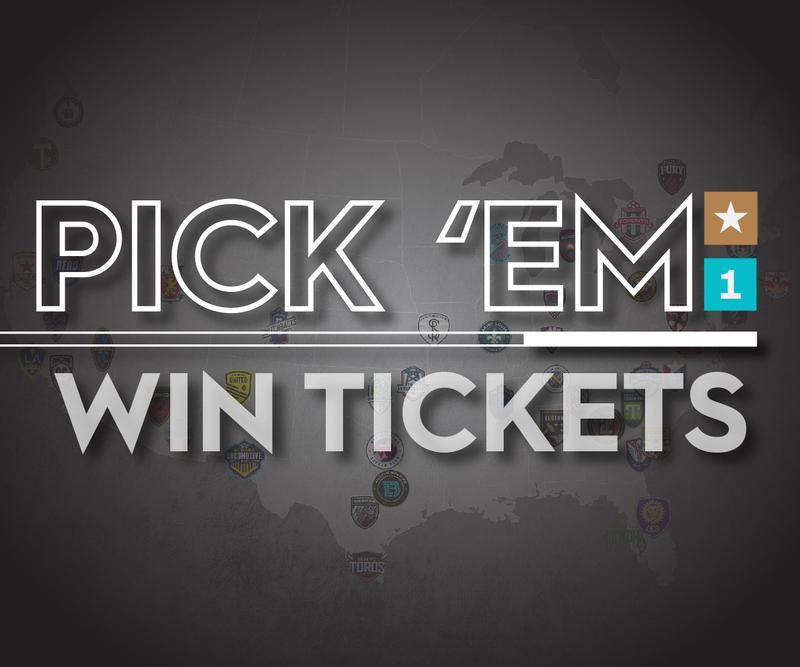 Tacoma didn't play this weekend, but they'll have a mid-week game before visiting Las Vegas as they'll face Orange County SC on Wednesday April 10 at 7:00 p.m. in Irvine, California.